Today was a rainy August day. And my brain turned on fall-overdrive. First, I made this chili by PPK…and oh wow. It is amazing. Nathan described it as a ‘collision between Vegetable Thai Soup and Chili’ and to me, that is a perfect combination. We used full fat coconut milk, and we added in a tomato and a squash that we had leftover from our CSA. 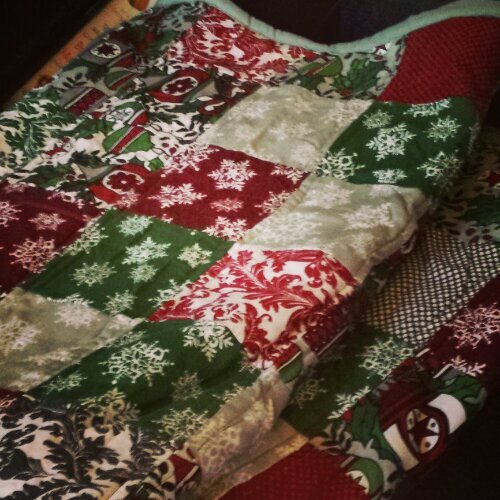 Then…I decided I wanted to finish my Christmas quilt. 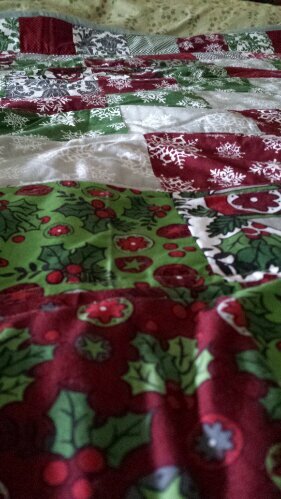 Now, before you give me major prompts for being way on top of Christmas 2013 crafting…know that I started this quilt in October of 2011. Yep. 2 years ago! Until today, it only lacked binding. But now it is done! It is far from perfect, but I started it right after I began sewing. It is super sentimental, because the backing of it is actually part of an electric blanket that Nathan got me on our first Christmas. 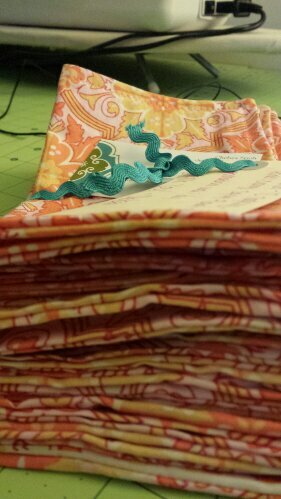 After the quilt I kept trucking…and filled a big custom order from by Etsy shop!